El Questro is a one million acre working cattle station and becoming one of the iconic places to visit when visiting the Kimberley, Australia’s largest wilderness area. The Gibb River Road is sealed all the way to the station’s driveway which allows easier access. Visiting El Questro means that you will need to get off the highway and travel along the Gibb River Road for 100kms before turning into the station’s driveway. Unless you’re continuing along the Gibb, you will need to return the same way as you entered along the sealed road. 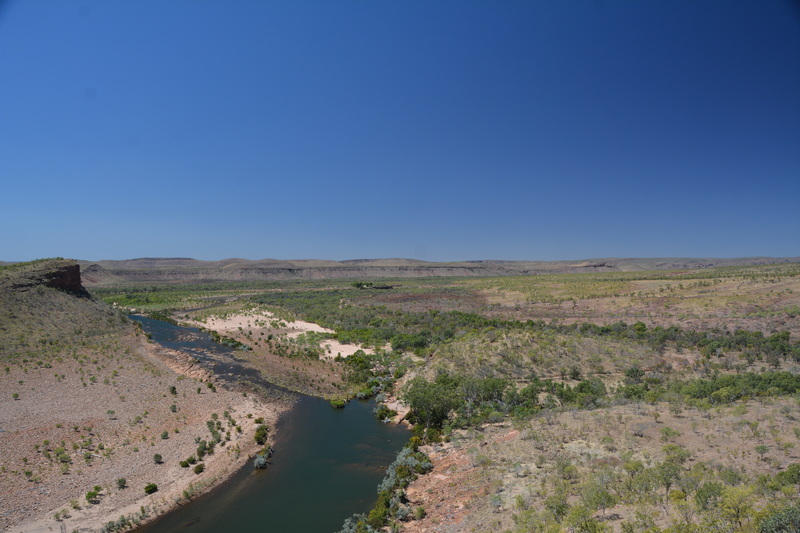 Quite a few people venture further along the Gibb River Road to Kidman Crossing on the Pentecost River and visit Home Valley Station. HV8 is well worth a visit and their Crocodile Balls and saltwater Barramundi lunches are famous amongst travellers. 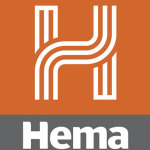 Keep an eye out for the off-road tourist buses that get along this road a high speed. They always seem to be in a hurry and don’t mind overtaking a 4×4 towing an 19 foot caravan. 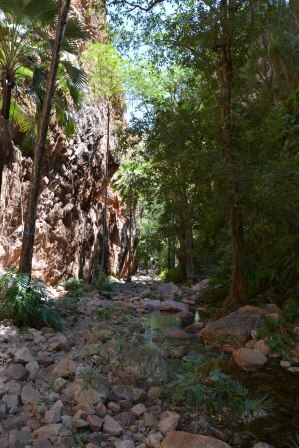 Once you’ve crossed the headwaters of the Pentecost, you only have a couple of hundred metres to the El Questro campground. Green grass is a welcome site anywhere in the Kimberley during the dry season and there’s plenty of it in the campground. Sprinklers keep the water up in the main campground as well throughout the entire dry season. 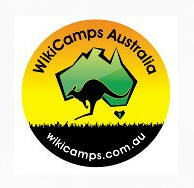 The main camping area is located just behind the office / kiosk and right on the Pentecost River. 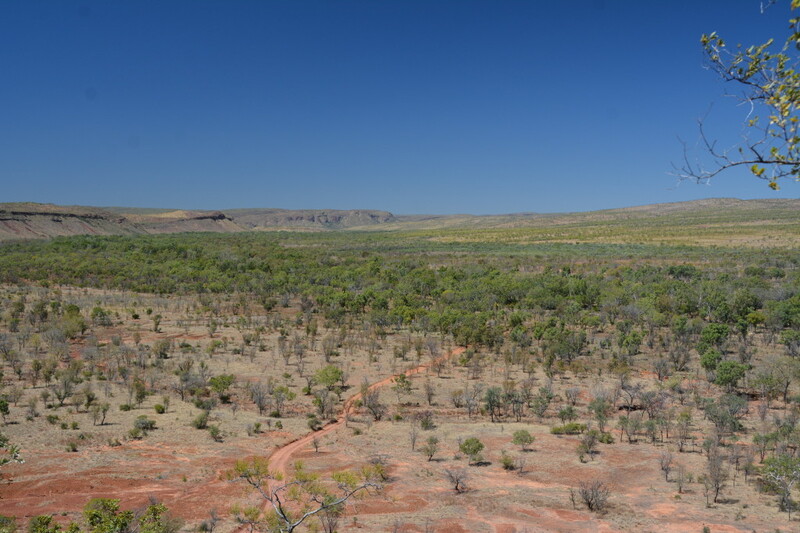 There are quite a few walks within El Questro and usually require a short drive to a carpark to commence the walk. Zebedee Springs is a beautiful spot for a relaxing and was the favourite with all of us. You need to get in early as its closed for the general public (campers) at midday and opens up for the people staying in the homestead. 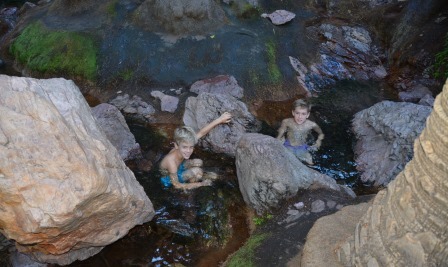 It’s a beautiful spot with crystal clear warm water bubbling over the rocks and into the deep pools. Moonshine, El Questro and Amalia Gorges are all excellent walks which offer different experiences. 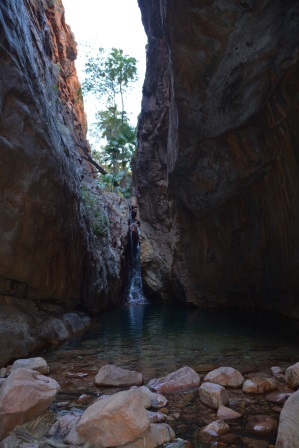 Our favourite was El Questro Gorge that promised an excellent swimming spot under the waterfall at the end of it. It’s definitely not for small children and our older boys lapped it up climbing up and down the boulders. There are a couple of sections that you will need to remove your shoes and wade waste deep in water. We did see an older couple up near the waterfall but they were struggling a bit. El Questro offers guided tours including boat tours and helicopter flights. We came across one tour with the participants sitting an open air 4×4 copping all the dust from our vehicle as we passed them. We caught up with them at a lookout a couple of hours later and they were covered in dust. 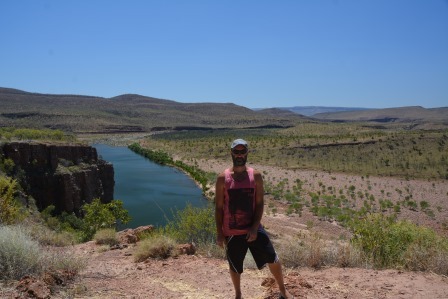 Here’s a tip for travelling in the Kimberley – leave any white clothing at home! One lady was wearing white pants that had quite a tinge of red to them. Aboriginals have been in the Kimberley for tens of thousands of years and their culture and art is evident everywhere in the region including El Questro. A lease was taken up in 1903 and called Spurling’s Pocket. The station changed hands a few times until Torrence MacMiking and Morris Marshall took up the lease and named it El Questro in the 1950’s. In the mid eighties, the lease was sold to James and Ben Salerno then in in the early nineties passed to Will and Celia Burrel. And it is Will and Celia who need to be thanked for having the vision and realising the potential El Questro had for tourism. They paid $1 an acre for the station and reluctantly sold it in 2005 for a bit more than a $1 an acre! 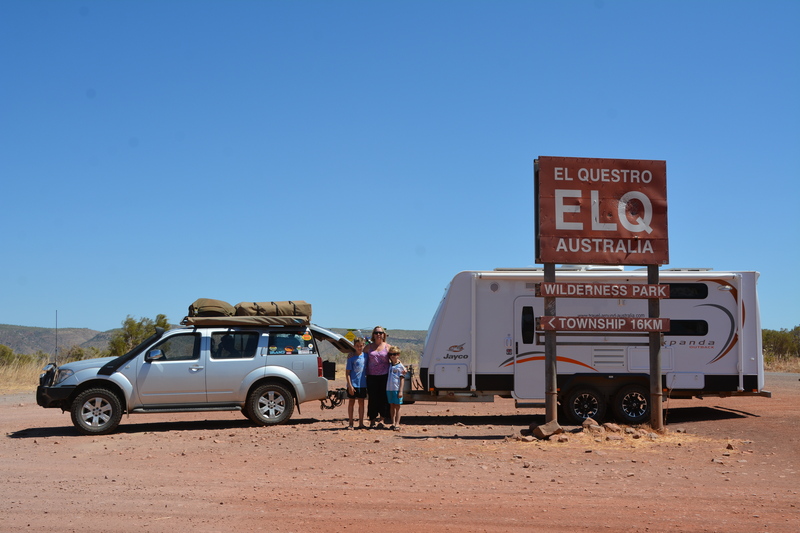 These days, the El Questro Station is owned by the Delaware North Parks Australia Parks and Resorts. 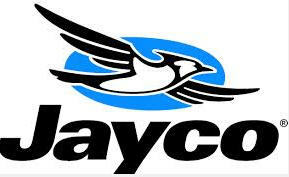 The same company that owns the resorts at Kings Canyon, Lizard Island and Heron Island. Most of the staff have worked in the Park for many seasons, often returning for the busy Dry Season. The turn-off for El Questro in on the northern end of the Gibb River Road and it’s a 100km sealed road from Kununurra all the way to the driveway. After you turn off, it’s about 20km to the resort along their “driveway”. The road in is gravel and can be pretty ordinary during the peak dry season. There are also a couple of small water crossings to negotiate, one being the headwater of the Pentecost River. The riverbed is gravel so it’s a pretty standard water crossing. No need for a snorkel or water bra on this crossing and more importantly, no saltwater crocs. A 4×4 is recommended to get to El Questro due to the river crossings however we did see a few on-road caravans and quite a few 2 wheel drive vehicles in the campground. One was being driven by a couple of backpackers and were doing a great job of getting around the station in it. They did get bogged at one stage and had to be towed out. Fortunately for them they were pulled out by another camper and not the staff at the station as a fee will apply! The tracks around the El Questro Station are definitely 4×4 only. 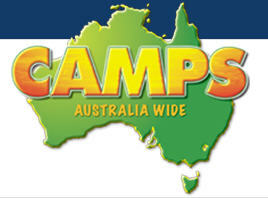 Camper trailers and off-road caravans will easily reach the campground but that’s where they will stay. In dry conditions the tracks required a moderate offroad skill with some decent tyres on the car. Some of the tracks up to the lookouts were pretty steep. The office staff will give you plenty of information on the tracks and the condition they are in. During the wet season, the road into El Questro can become impassable so it’s best to call ahead and make sure you can get through the river crossings. At the beginning of the dry season, try to get there as soon as possible so that the gorges and rivers are still flowing and there’s plenty of grass to camp on. Anytime in the Dry Season is a great time to visit El Questro with all the walking and 4×4 tracks open and there’s often nightly entertainment around the communal fire pit. On arrival at the campground, you will need to pay for the Wilderness Park fee which gives you access to all the walking tracks, 4×4 tracks, the hot springs and a few swimming holes. This fee goes towards maintaining the tracks around the million acre property. A few people hate paying for this fee, however the tracks around the property are well maintained yet feel similar to the tracks in the Victorian High Country. 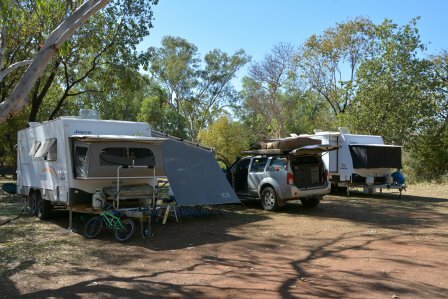 The El Questro station has ensured that all budgets are catered for with reasonably priced camping sites up to 5 star accommodation which is available at the Homestead. We chose the camping grounds as our budget wouldn’t allow the expense of a few thousand dollars for staying in the homestead. Sleeping in the caravan would have to do! Petrol, diesel and LPG bottle refills are available at the campground with a couple of mechanics who will assist in an emergency. If you are nice to them, they will let you work on your own vehicle near the workshop if required. Hopefully though, you will not need their assistance. There are quite a few aboriginal art sites in the park however the guides at El Questro don’t have permission to take you there. The discussion on accessibility has been going on for years, apparently in the legal offices in Melbourne! There is an awesome atmosphere at the station especially in the evening when the employees light the communal fire over near the Kiosk / Bar. They also provide different types of entertainment during the Dry Season. I was lucky enough to spend my birthday there with my family and some great neighbours from Melbourne who had just travelled across the Simpson Desert. Our neighbours had a bottle of homemade Lemon and Honey Vodka which was amazing and I was also introduction to Scotch and Red Bull which was great during the evening but not so good the next day!! The staff at the station know a thing or two about hospitality so much so that a senior staff member (who will remain anonymous) was nice enough to keep the bar accessible well after midnight. The next morning wasn’t too good however with the packing up and driving a couple of hundred kilometres along the Gibb River Road. Everything! Big statement I know however they have a perfect setup in a very remote region of Australia. They cater for all budgets and their service is high standard. Perhaps their restaurant could have a nightly cheaper dinner option for families. Although that may be the reasoning behind their meal prices as it keeps the kids down in the campground! 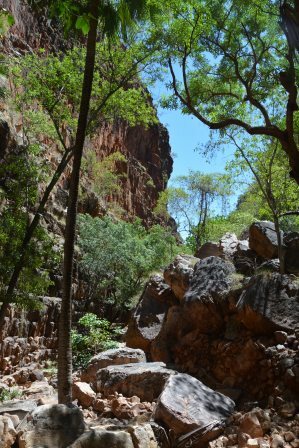 The management need to put a ladder at the first waterhole on the El Questro Gorge. Our friend actually slipped while trying to get up the slippery rock and was close to knocking herself out. I helped her up having prior approval of putting my hands on another woman’s bottom from Michelle. Both girls thought the hands on the bottom would make a good story however I don’t think her husband did. He realised that she had nearly broken her arm and appreciated the assistance. A ladder like they have in the Bungle Bungles and Karijini NP would be perfect. Even a few other spots along the way could do with a handrail, especially as it’s so popular. The kids loved the fishing in the Pentecost River. Even though the fish were small, they were easily caught which provided hours of entertainment. Lachy said that he saw a big barramundi swim past a few times as well. The river there is deep enough for a swim and plenty of shallow areas for the smaller kids. Even though a large croc lives not far from the campground in Brancos Hole, the staff say that there are no saltwater crocodiles near the campground.